Dejection is a short story set in late 1790s Britain. It tells the tale of two young poets, Samantha and Lillian, as they struggle with their careers, writer's block, depression, and - most of all - their relationship with each other. 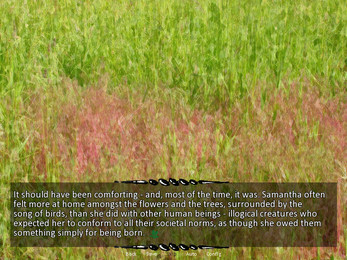 Samantha and Lillian are based on Coleridge and Wordsworth, respectively, who were English poets who were alive in the 18th century. 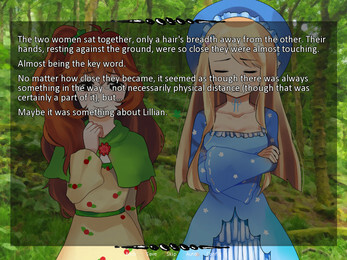 The VN is fairly historically accurate (though neither poet was a cute girl in real life, sadly). Given they were both Romantic poets, expect a lot of angst. 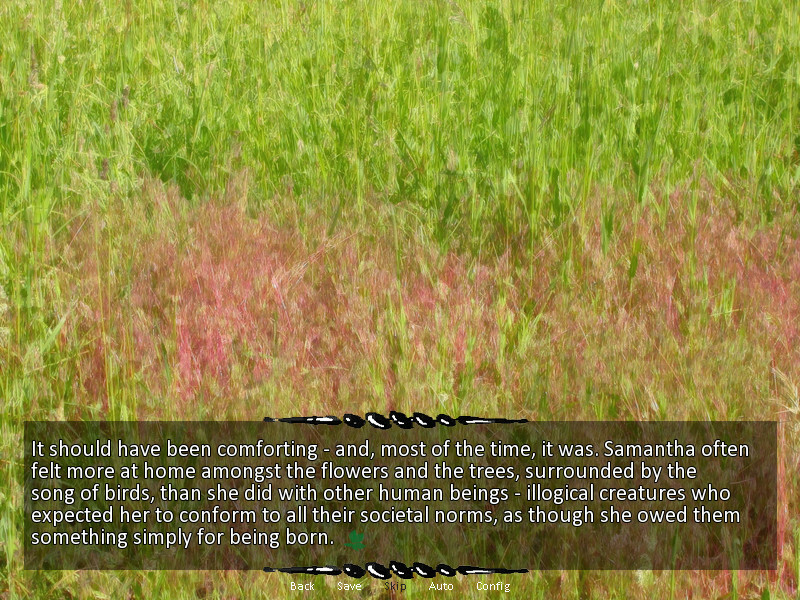 Dejection is a kinetic visual novel, and has no choices. It is 19k words long. 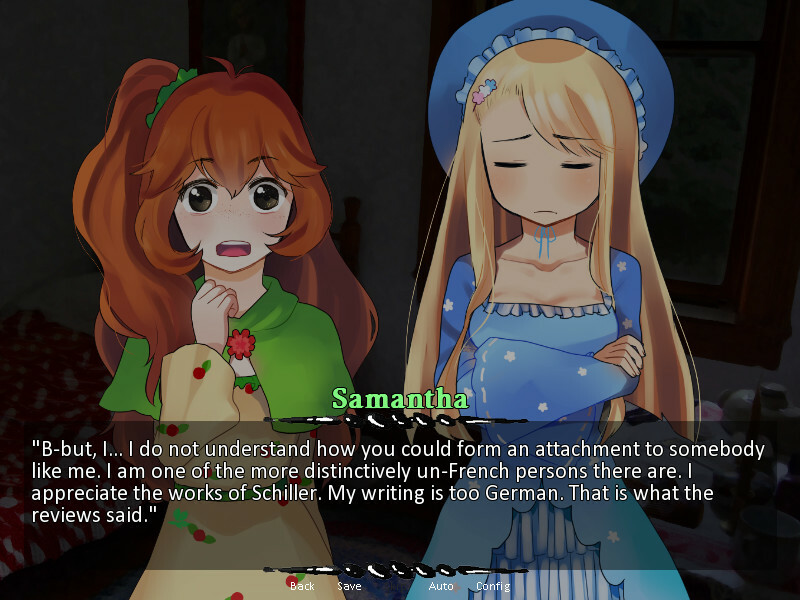 If you want to give me any feedback, or just talk about the visual novel, you can do so on its lemmasoft forum thread, or through my tumblr. Dejection also has a longer spin-off (not really a 'sequel'), Asphyxia, which again features Samantha and Lillian, the cute gender-swapped British poets. 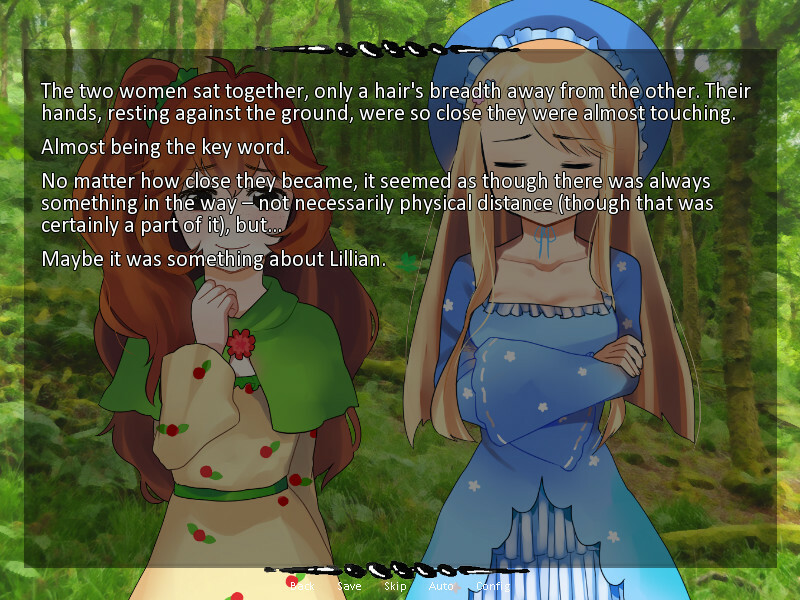 Asphyxia, however, is set in a more modern time period, and there are more cute poet girls. Asphyxia is a commercial VN that can be bought on Steam or through itch.io.